How to Measure a Dress Shirt? Collar: Unbutton the shirt and spread it out on its back. Place one end of the measuring tape at the center of the button where the button stitching comes through to the inside of the collar band and measure along the collar up to the button. Shoulder to Shoulder:Measure this length from one shoulder to another. Sleeve cuff: At the widest point of the wrist, measure its circumference. Leave enough room for watches or jewelry worn often. Take this measurement from above the elastic area same as Hem length measurement. Take all measurements lying flat. Lay the dress shirt out on a flat surface. The front should be facing up. Hanging clothes can stretch as you measure and if you have them on a dress model of a different size this can skew your measurement. 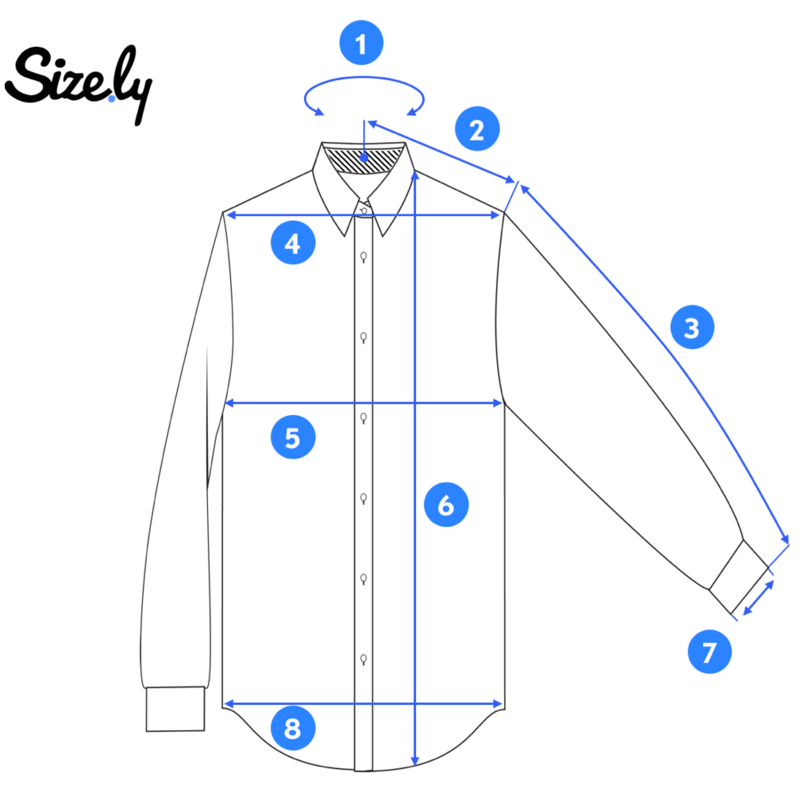 Our friends from Bespokify created a series of very detailed videos on how to measure a dress shirt. Please note that this video includes by far more measurement spots than most people will ever used. 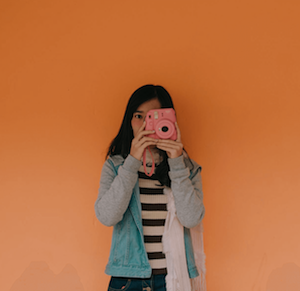 Yet, it's always great to learn something new. That said, enjoy;) In case you can't see watch the full playlist, please click here. How to read a dress shirt size tag? 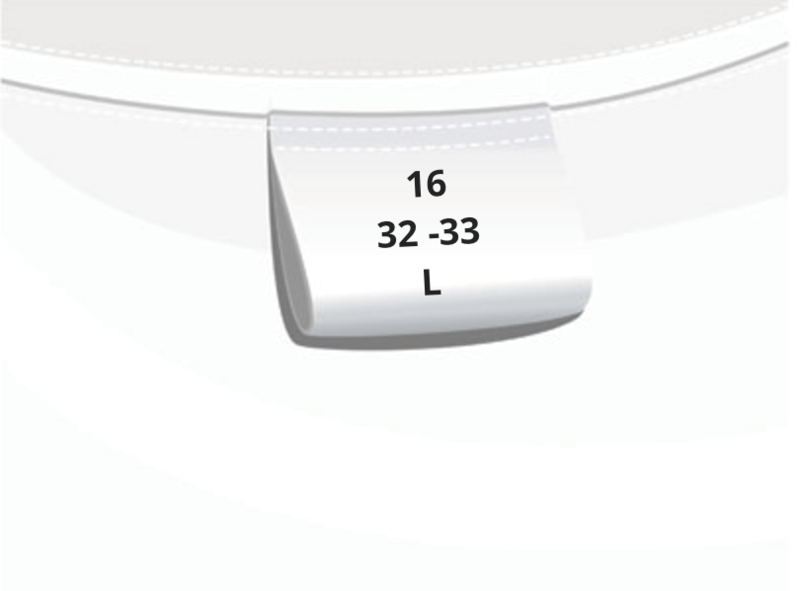 The first number refers to the neck size, the second number to the sleeve length. For instance, the below image reflects a 16inch neck size, and a 32-33 inch sleeve length, as well as the overall shirt size "Large".